Last updated Monday, 16 February 2015 at 02:07:43. First submitted Monday, 2 September 2013 at 14:02:51 by Fred Bone. 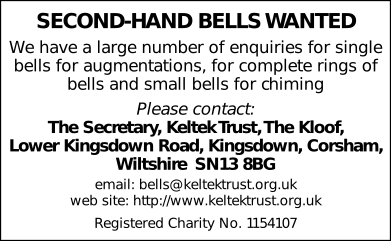 Sent for publication in The Ringing World on Monday, 2 September 2013 at 14:04:59. This performance has been viewed 876 times.